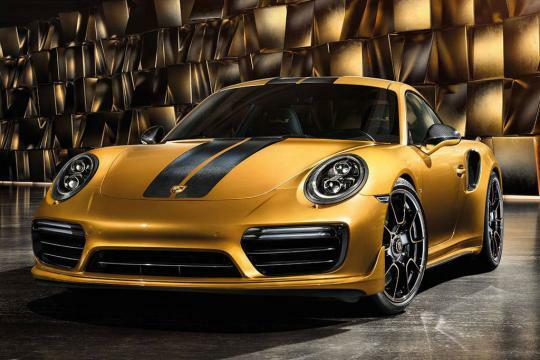 Porsche is unleashing a limited-run 911 Turbo S into the world called the Exclusive Series Coupe. 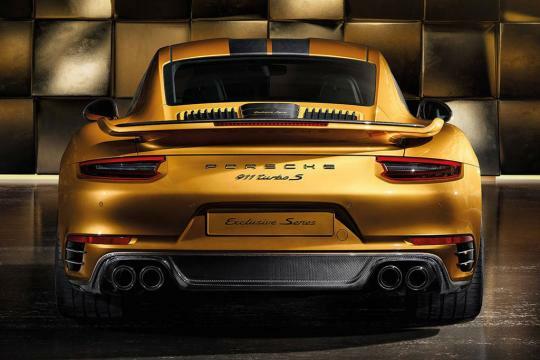 Yes, there will be more power, and yes, it will cost significantly more than the plebe Turbo S.
For a cool US$257,500, you get 27 hp over a Turbo S, for a total of 607 hp, and a host of other Porsche Exclusive options. Acceleration isn’t changed much with the extra power; 0-60 mph is quoted at the same 2.8 seconds as the base Turbo S, but 124 mph is achieved 0.3 second quicker than before on the way to a 205-mph top speed. 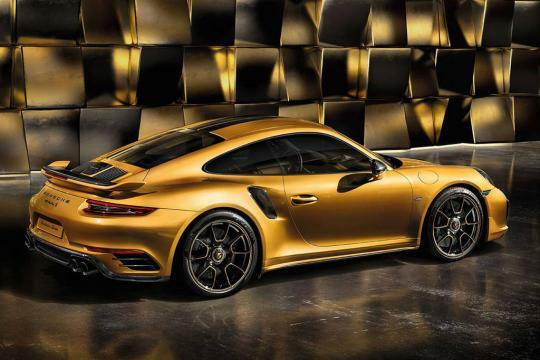 You can add plenty of additional option$ through Porsche’s new Porsche Exclusive Manufaktur program, but the golden-yellow metallic paint and other appearance bits strewn about already make this car unique. Center-locking 20-inch wheels in black with golden accents, plus black and gold brake calipers, should fulfill all your color-matching dreams at the corners. Carbon fiber finds its way throughout, with strips of it in the roof and front trunk lid. A new rear fascia, twin tailpipes in black and plenty of badges adorn the exterior to finish off the 911 Exclusive look. 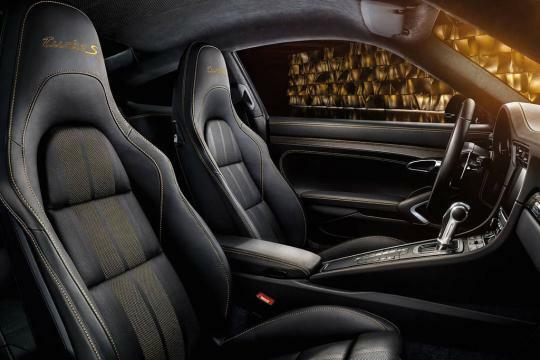 On the inside, Porsche keeps the gold accents going with stripes, linings and stitching everywhere. Copper thread is even woven into the carbon fiber. We’re starting to think the amount of gold this car features must be a hint at the pocketbooks of potential buyers. 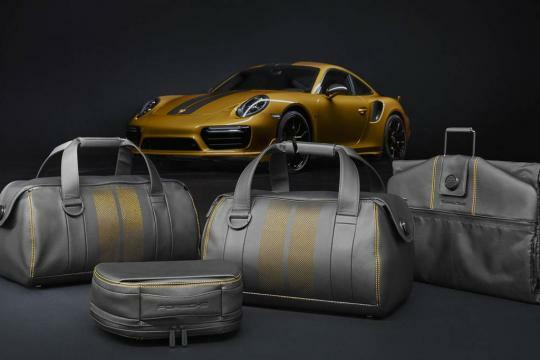 If spending supercar money for your 911 Turbo S isn't enough, Porsche also has a matching watch and luggage set to sell you. 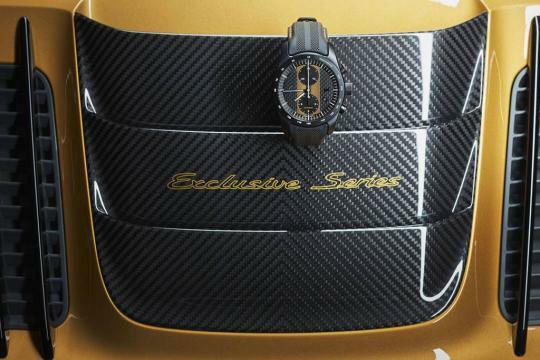 Five pieces of luggage will total $6,324, and the watch is yet to be priced ... but if you have to ask. Similar to other exclusive limited-production exotics, only 500 911 Turbo Exclusives will be sold worldwide -- so don’t expect to see too many around. There’s no on-sale date yet, but orders can be placed through your friendly Porsche dealer soon.